Kathleen has been working with children and teaching kids yoga for over a decade. She has Bachelor's and Master's degrees in Education and worked as a classroom teacher for six years before becoming a certified kids yoga teacher. She started Yoga for Kids Portland in 2013 to share her passion for yoga with children. After moving to Portland, OR from Austin, TX, Kathleen met her husband and had two sets of boy/girl twins. Her family of six keeps her busy but she always enjoys being on the mat, sharing her love of yoga! Kathleen's classes offer a nurturing, non-competitive environment for children to gain a yogic (union of mind and body) understanding of themselves while being creative and having fun! Kathleen Peek is Karma Kids Yoga Certified. 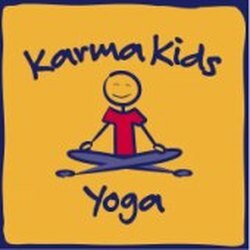 Click here to visit Karma Kids Yoga!